This was a stackoverflow answer I provided that neatly displays a way to loop over all form controls using recursion and the object type. This may be useful when you want to modify/initialize form controls systematically. 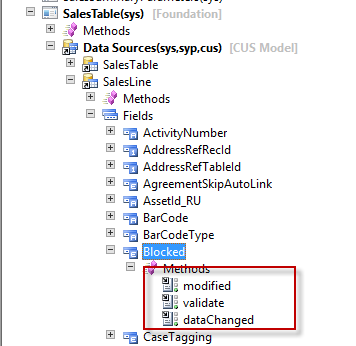 When overriding methods on a form data object, it is important to know what they do exactly! Two methods in particular, formdataobject.modified() and formdataobject.dataChanged(), sound very similar but are different. The important difference is that dataChanged() runs EVERY time the data is changed, while modified() only runs after successful validation! This may seem like a "duh" post for some, but I was surprised at the number of people who couldn't tell me the difference. So if a user changes data on a form, it may fail validation and modified() would never run. This is often where you would prefer to hook your code since if the field doesn't truly change, you don't want anything triggered.